Angelic Skin Clinic offers revolutionary ways to keep your skin soft and firm. Listed below are the treatments we provide at our medical spa in Maple Grove, Minnesota. Say goodbye to shaving and waxing through our laser hair removal service! For each procedure, we use the Gentle Max Pro by Syneron/Candela. It combines a 755 Alexandrite Laser with an equally powerful 1064nm Nd: YAG Laser. Its light and pulse duration are precisely matched to the follicle size, depth, and location in order to prevent the hair from growing. Our laser hair removal is performed by a specially-trained laser specialist, who distributes the light of a long pulse laser onto the skin. It works by disabling hairs that are in their active growth cycle at the time of treatment. 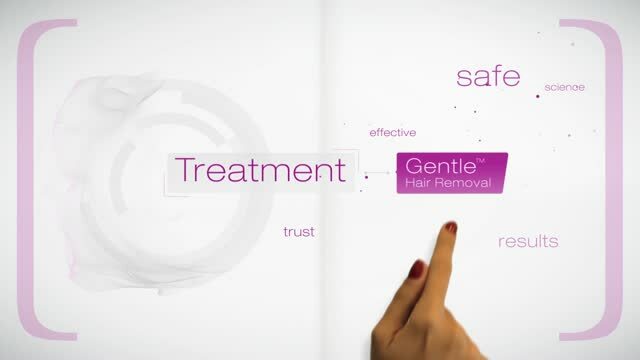 Since hair growth cycles may vary, we recommend multiple treatments to disable all of the follicles in a given area. The FDA has approved Laser Hair Reduction at six (6) treatments. Angelic Skin Clinic has performed over 50,000 hair removal treatments since 2010. The Gentle Max Pro can safely treat ages 12+ and all skin types. Call us for a one-on-one consultation to see if Laser Hair Removal is right for you. Improve your skin tone and surface imperfections related to ageing and photo damage through a photo facial at Angelic Skin Clinic! This is a new, non-invasive approach to skin rejuvenation, which utilizes the Gentle Max Pro laser. If you are bothered by broken blood vessels and/or spider veins on your face or legs, we can help! Our staff will treat these under your skin’s surface with a laser designed specifically for veins. Schedule a consultation, and we will handle the rest. For optimum results, we recommend more than one laser session.